What is a Mystery Town Tour? A tour? A game? YOU decide! Your Mystery Towns experience will lead you on a clue-solving adventure, showing you history and art, great shopping and dining, and the hidden secrets even the locals don't know. Mystery Towns - THRIVE Festival Edition! Part scavenger hunt, part escape room and part Amazing Race, a Mystery Towns clues-solving adventure turns the town into a giant puzzle-board where you and your friends become the game pieces! Choose either of two health & wellness-themed adventures custom-made for the THRIVE festival. Whether you have been in Canmore 20 years or 20 minutes, you will see the town in a whole new eay, and it's SO MUCH FUN!! Option 1: Stretching the Legs! Option 1: Stretching the Mind! What you need: At least one charged smartphone per team, appropriate clothes, and maybe a bottle of water. 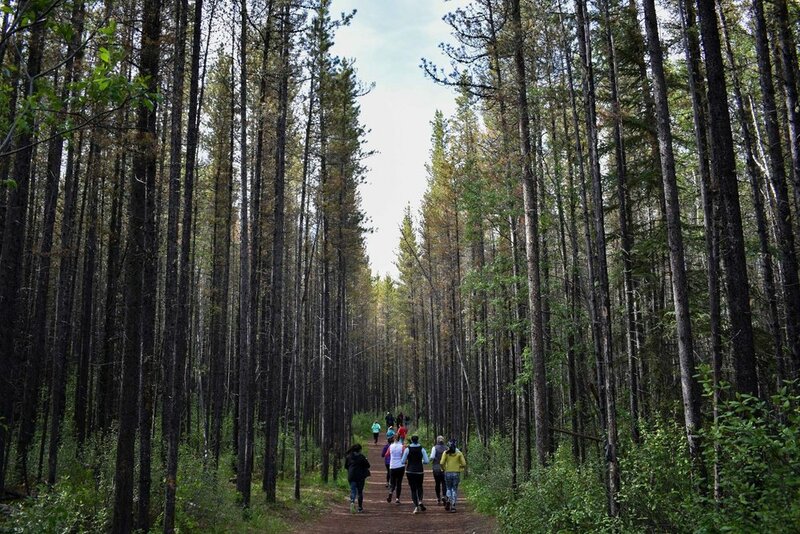 Lululemon & Canmore Trail Culture fun run/walk. Lululemon and Canmore Trail Culture is hosting a fun run/walk for ALL LEVELS in and around Canmore. The event will start & end at the Coast hotel. There will be music, some pre-run stretching and LOTS OF FUN. We hope you will join us for this Sunday activity! Yoga/meditation to finish off the 4-day festival!